TORONTO '06 DAILY DISPATCH: Michael Moore Sneaks "Sicko" Clips; Cillian on Loach's "Barley"
Even while he prepares “Sicko” for June 2007 release, Moore has created “The Great 2004 Slacker Uprising,” a new movie made with footage surrounding the 2004 U.S. presidential election. While already working on “Sicko,” which will be released by The Weinstein Company, Moore went to Bob and Harvey Weinstein with the idea for this post-election movie. It will be released on DVD in late ’07, after “Sicko” but before the 2008 U.S. presidential election. In its opening moments, “The Great 2004 Slacker Uprising” is described on screen as the story of “one filmmaker’s attempt to turn things around,” but festival technical problems marred Moore’s attempts to show segments from the film, ultimately forcing him to cancel the clips. “This is painful,” Moore said, after a second clip was scrapped due to persistent sound problems. While praising the festival as one of the best in the world, Moore was clearly frustrated with the situation, as he and Charles had taken the stage late Friday night in Toronto when a projector problem forced the cancellation of Charles’ “Borat“. Festival insiders indicated that Moore had planned to screen up to 30 minutes from “Slacker Uprising” on Friday night, but once tech issues were finally resolved, it was too late to re-visit the clips as Moore and Charles had to make way for the rescheduled “Borat” screening that was on tap. Festival tech issues were resolved in time to show three segments from Moore’s “Sicko,” which is either anticipated or dreaded, depending on your political views. The new movie about the U.S. health care system will no doubt stir an even greater debate about the issue. Two month’s into editing this new movie, Moore admitted that he made the rare exception of showing something as a work-in-progress out of loyalty to the festival, where he first screened “Roger and Me.” Normally, he explained, he avoids talking about or showing a new film until it is completed. “I have to [keep it secret],” Moore quipped, “Because I am up to no good.” And acknowledging any anonymous pharmaceutical industry reps who might be in the audience, Moore explained that when no insurance company would back him in the making of the film, he thought the movie might be doomed. “How did you get around that,” Larry Charles asked Moore. “I don’t want to say,” Moore responded, “’cause they’re here…” The filmmaker also noted that disgruntled employees at those companies had tipped him off to internal attempts to deal with him if he were to show up at their door. One letter even encouraged employees to stir a discussion about Detroit sports teams and engage him in a discussion about his weight loss. The visibly slimmer Michael Moore said Friday that he had already lost some 60 lbs. by changing his eating habits and walking a few miles each day. Explaining that he still has another 60 lbs. to go, he asked rhetorically, “How the hell can you make a film about health care when you aren’t taking care of your health?” As for the film itself, clips depicted life-threatening encounters with the U.S. health care system: from a woman whose emergency ambulance ride to the hospital wasn’t pre-approved by her provider to an older Canadian couple who buy health insurance even for their short days trips to America, and another Canadian man living in America who had to return to Canada to have a tendon repaired for free, rather than pay $24,000 for the procedure in the U.S. But to those aforementioned anonymous health care industry reps in the audience, Moore cautioned that his film, “Will not be necessarily what you think its going to be.” In one example, the director compared the no holds barred tactics of American football with the seemingly more fair regulations that guide international soccer, as a way of apparently explaining that his movie will consider the deeper reasons for America undervaluing health care. “The Wind That Shakes the Barley” was among the early press and industry screenings that drew a large crowd of Toronto fest-goers. Starring Murphy, the film returns to the political/historical – themes frequently visited by Loach in such films as “Land and Freedom,” which tackled the Spanish Civil War. In his latest, Loach delves into the Irish uprising against the British following World War I. Emboldened Irish Republicans fought the infamous Black and Tans and demobilized British forces who recently returned from what was then known as The Great War, to suppress the insurgents. 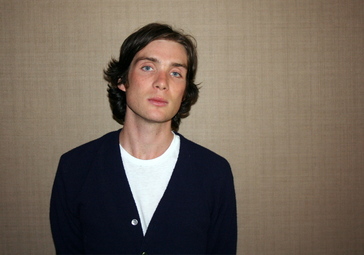 Cillian Murphy and Padraic Delaney play brothers, committed to the Republican movement, who join the rebellion. The two, however, fall on either side of a divide after a tentative peace brokered with the Brits creates a semi-autonomous Irish Free State in the south of the island, with one brother joining the new emerging establishment and the other refusing to relent and continuing with attacks.